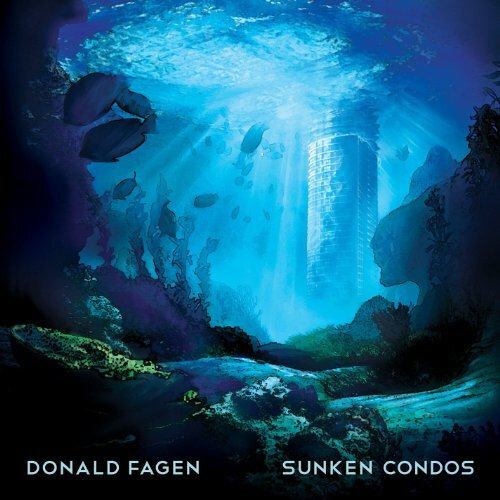 Donald Fagen's fourth solo album for Warner Reprise, Sunken Condos, will be released on October 16. His first three solo albums, The Nightfly, Kamakiriad and Morph the Cat comprised the project known as "The Nightfly Trilogy." Sunken Condos begins a chapter in the creative evolution of this innovative artist, whose career is still going strong after forty years. The nine tracks on Sunken Condos were co-produced by Michael Leonhart and Donald. All but one track, an Ashkenazi recasting of Isaac Hayes' "Out of the Ghetto," are Fagen originals. Some familiar names from the Steely Dan family of players are on hand (Jon Herington, the Steely Dan horns, Freddie Washington) plus some new faces. The word is that, from now on, everything Donald does has got to be funky.